Instructor Office Hours: By appointment and will schedule based on demand. An introduction to the principles of computer graphics. Includes an introduction to graphics displays and systems. Introduction to the mathematics of affine and projective transformations, perspective, curve and surface modeling, algorithms for hidden-surface removal, color models, methods for modeling illumination, shading, and reflection. 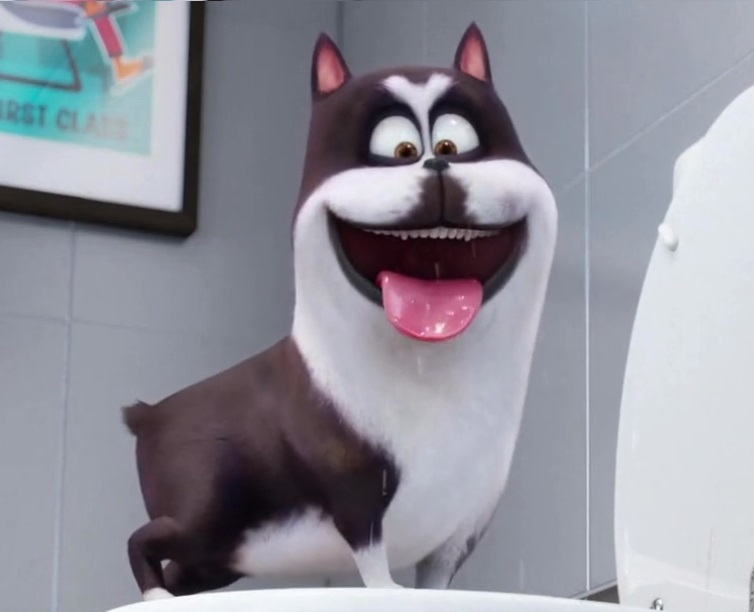 Image source: Secret Life of Pets by Universal Pictures and Illumination Entertainment. For the assignments, you'll need to have Qt 5.7.x or newer installed. Please follow this document with instructions for Windows, Mac OSX, and Linux InstallingQtCMSC427.pdf. Do not try to build it from source. Use one of the pre-built packages with OpenGL support for your compiler. We will be using the submit server at submit.cs unless otherwise specified. Written assignments are to be done alone. You can use this program to see if your graphics card can handle the assignments (your card supports shaders). What you should see a little square with a picture of a squirrel that stretches left and right. If you click on the window and drag left and right with the mouse button held down, you should be able to control this stretching. You can also learn more about the version of OpenGL your graphics card supports by using GLview If you see nothing on the window, please see how to use the computers in McKeldin Library in the InstallingQtCMSC427.pdf document. Programming assignments will be done in pairs. Note that you and your partner are the only people that can collaborate on your code, you must give proper attribution for any ideas/code taken from the textbooks or the web. It's allowable to talk to other students about ideas and approaches, but not code. You can get support code from example programs from the web or the text book. In all of these cases, you must reference your sources (web, other student, textbook, etc). You cannot share your code with another student (not in your group) or use ideas/code without attribution. Where possible, you must use the Qt OpenGL Helper and Math Classes. You will loose 5% per day the assignment is late unless granted special permission by the instructor. Maintaining your reputation is critical in business and in science. Please read the UMDCP academic integrity policy. There is a lot of OpenGL source code on the web. Please do not just cut and paste this code into your assignments. Please do not post your assignments online. To help prevent copying and pasting, you will be required to use the OpenGL helper classes in the Qt Library unless otherwise instructed. The schedule will be updated frequently over the semester.Please check back regularly. TBD designates "to be determined."